I have been leading men’s groups since my sophomore year in college. It has been one of my greatest joys, getting to know guys and sharing life with them. For the last twenty years I have developed my understanding of what makes a good men’s group. I hope this list of 10 things for a successful men’s small group will give you confidence to start your own and empower you to see men come alive. Things said in the group need to stay in the group. This is probably the biggest thing that needs to be addressed, agreed upon, and reiterated in the group. Men fear exposure and assume things revealed will be used against them. We all need a safe place to process to talk through those things going on in our head without thinking it would be shared outside the group. 2. No Judgment. No Correction. This really adds to the first point. As men we like to fix things. However our fixing will shut down other men’s openness. It gives the impression that the one sharing is needy and the fixers are better than him. We need to trust the Holy Spirit to work in the lives of the men in the group. There may be time to speak correction, but this is much more rare than you would think. Men generally find their identity in what they are able to accomplish, and so we don’t like to talk about things that appear negative. We don’t usually think of these as mistakes but reasons to think negatively about us as people. Therefore vulnerability can be difficult to achieve. However if you want a successful men’s small group, this needs to be a foundational component. As the leader, you need to be the most vulnerable. The others will not go to a place you don’t lead them. Also whoever is the most vulnerable and still confident in who God made them, will be seen as the leader. People are looking for real Christianity. Something that flows from their inner being instead of something they have to create. Vulnerability allows for this to be seen and then gives an example to follow. Since vulnerability is scary and new for most men, give them specific opportunities to open up. Vulnerability doesn’t always need to be failures; it can be hopes, dreams, fears, memories, etc. It is sharing things that help reveal more about who you are. You can ask open-ended questions about the guys’ last fight with their wife, what did they want to be when they grew up, do they have any reoccurring dreams, or what is the hardest thing they have ever overcome. These questions allow the men to begin to open up and see that they are still accepted in the group. These specific questions build trust so that they can reveal scarier things they need to share. As leaders we must realize anything we are afraid for others to know will hold us back in being the men created us to be. Without this sharing we will not see significant life change as a successful men’s small group. Make a commitment as a group that each of you will make at least 4 out of 5 meetings. Having guys coming in and out of the group hinders sharing. Men see lack of commitment to the group as not caring about what goes on in the group. Why should I open up when there is a guy here who missed the last four weeks? He doesn’t understand why this is important to me, and I don’t know if I can trust him with the information. Not only do you want to get men to share, you want them to hear others share. Men’s openness often help the group to relate and sometimes give words to what is going on in them. Sin is selfish, so actively listening to others helps the group overcome issues with which they may be dealing. This openness also allows men to identify natural connections, build friendships, and promote follow-up outside group time. Connection outside the normal group time expresses genuine interest in the men. Trust is built quicker in these meetings, so there is a more openness in the group times. These meetings don’t have to be with everyone. In fact, they may be more effective one-on-one and sometimes even without you as the leader. This is often the main focus on most men’s group – this or food. It is not that it is not important, but without the sharing you just have a gathering of individuals. Still fun does remove walls and creates shared memories within the group. Laughter opens your heart to joy, which creates space for hope, which prepares you to have faith in God’s future for you. Most Christians are trying to walk out the Christian life by gritting their teeth and making it work. Laughter gets your focus off the next rung on the ladder and gets you closer to your heart where the Holy Spirit will give you wings to advance faster, farther, and easier. We are called to encourage one another (Hebrews 10:25). Within the group our words need to offer hope and express our belief in the other guys in the group. If you are successful in getting your men’s group to open up and share, those that share will feel the immediate fear of being rejected by the group. We have a great responsibility to express God’s heart of love and acceptance. I found ending the group in prayer is especially unifying. This is not an open invitation to pray toward all the corrective direction we thought when people were sharing. The intent is to listen to God about what He wants to say to each man in the group. God always wants to give life (John 10:10), so these prayers should do the same (Ephesians 4:29). 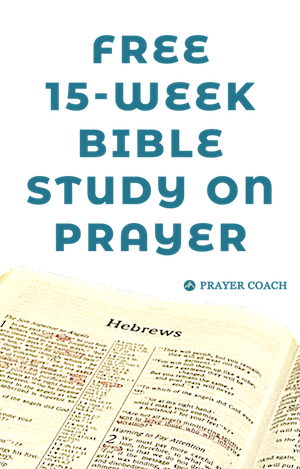 These prayers have a dual effect: it is encouraging to the man for whom we are praying and it is gives the other men insight on why God really likes this man to help us like him the same way. I know some of you just spewed coffee all over your computer. I’m sorry, but this is needed in successful men’s small groups. Men, especially in America, are individualistic. Hugs express connection, acceptance, and a general affection between men. For men who fear rejection or abandonment, hugs relieve those fears. As a leader you will create a tighter bond more quickly if you are willing to hug the men in your group. I would love to hear from you. For those of you who also lead men’s group, what would you add to this list?